You’ve probably seen these posters around town but may not have realized that there are folks right here in our community and elsewhere on the North Coast who are actively engaged in addressing the critical issues of climate change, the exhaustion of resources such as cheap oil,and the economic uncertainties in Europe, Asia and the Middle East, all of which will affect our planet and the world in which our children will grow up. These local activists will team with others from near (Mendocino) and far (there will be live webcasts with Bill McKibben, author of The End of Nature, and with Rob Hopkins, author of The Transition Handbook-from oil dependence to local resilience) to discuss their research and findings on the development of strategies and technologies that will build resiliency into our future. In-person guests include Richard Heinberg, , leading national energy expert, Senior Fellow at the Post-Carbon Institute and the author of ten books including The End of Growth. You can hear from these world-class experts and exchange ideas with many others at this year’s Plan It Green conference, the most ambitious yet. The symposiums and webcasts begin the evening of Thursday, July 19 and continue all the next day at Humboldt State. On Saturday the action moves to the Arcata Community Center, with the Annual Trade Show where over 40 exhibitors are expected with information, goods and services related to home energy systems, building trades, transportation, food production and home furnishings and products PLUS the “Wheels of Change” auto mall featuring a variety of alternative-fuel, hybrid and electric vehicles. 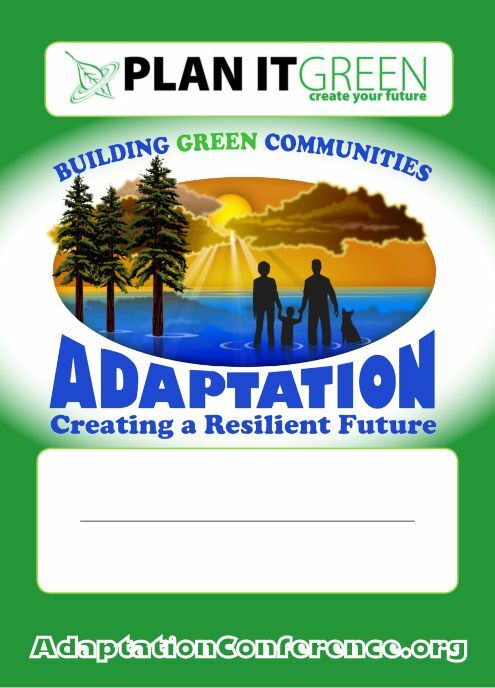 The Saturday events are free and open to the public, the Conference has a TOP price of $49 which includes lunch and a 2GB thumb-drive containing the Community Resilient Toolkit, including a 120-page workbook and extensive digital resources. 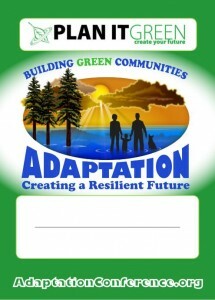 There will be much more going on than we have space here so for more information and tickets visit the website http://www.AdaptationConference.org This is important. Don’t miss it!